Zyxel Communications today introduced Aurora– an indoor night vision home camera to keep an eye on things from afar. With its full HD, full-color night vision live monitoring and real-time mobile notifications, the Aurora will give users peace of mind while they’re out or away from homes. Whether it’s keeping an eye on your little ones, pets, or watching over your entryway or garage, the Aurora camera captures moments in crystal clear full HD 1080p video and sees colors even in low-light environments. With the 2-way audio feature, users will be able to hear kids playing games around the camera and remind them to go do homework by speaking through their smart phones. The Aurora camera comes with 16GB storage, which is sufficient for a whole week of full-day recording in high definition. Thanks to the one-of-a-kind triangle shape and the complimentary accessories in box, the Aurora is able to cover every corner with versatile placement options, be it on flat surfaces, attached on a magnetic surface or your existing camera tripod, or even ceilings and walls.The alarm beeper module is required. No laptops required. 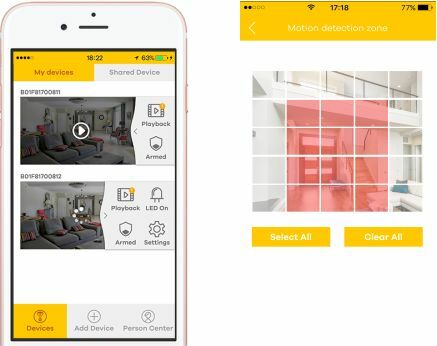 With the Aurora app, users will be able to set up the camera within three steps; watch or record videos so no great moments will be missed; set up zone detection or event-triggered recording for precise area monitoring, and receive instant push notifications when any incidents are detected. 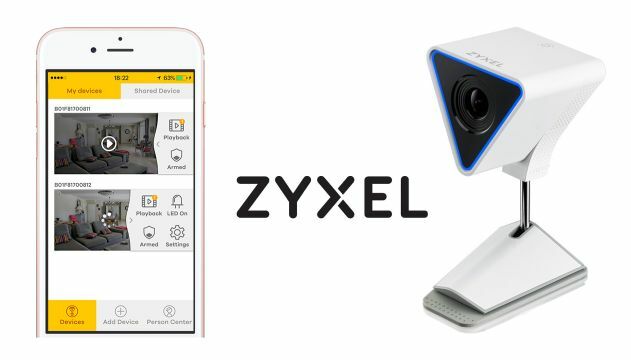 “With the addition of Aurora to our portfolio, we wanted to provide home users with more well-rounded digital home solutions and be their reliable networking ally”, said Bill Su, AVP of Zyxel’s Smart Living Business Unit. “With the Aurora camera and the comprehensive mobile app, we’re putting the entire home at users’ fingertips and making digital life easy and convenient”. The Aurora is compatible with Synology NVR and its Surveillance Station solution, which offers Aurora users a scalable storage solution that extends to public cloud, desktop management options, intelligent video analysis, and multi-cam monitoring on one screen.